The Saint-Saens Cello Concerto No. 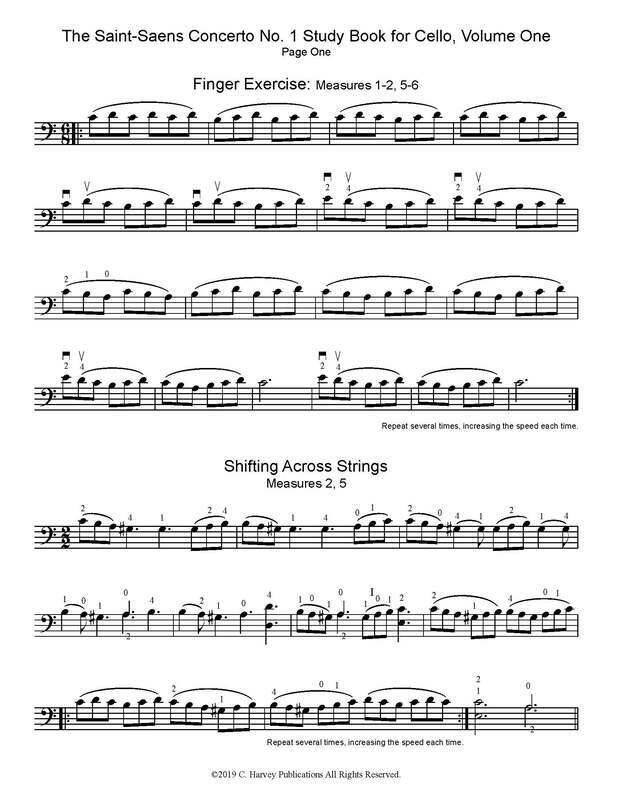 1 Study Book, Volume One helps you learn and perfect every measure of the first two "movements" of this major cello concerto. The Concerto is broken down into short sections and taught through carefully graded exercises. 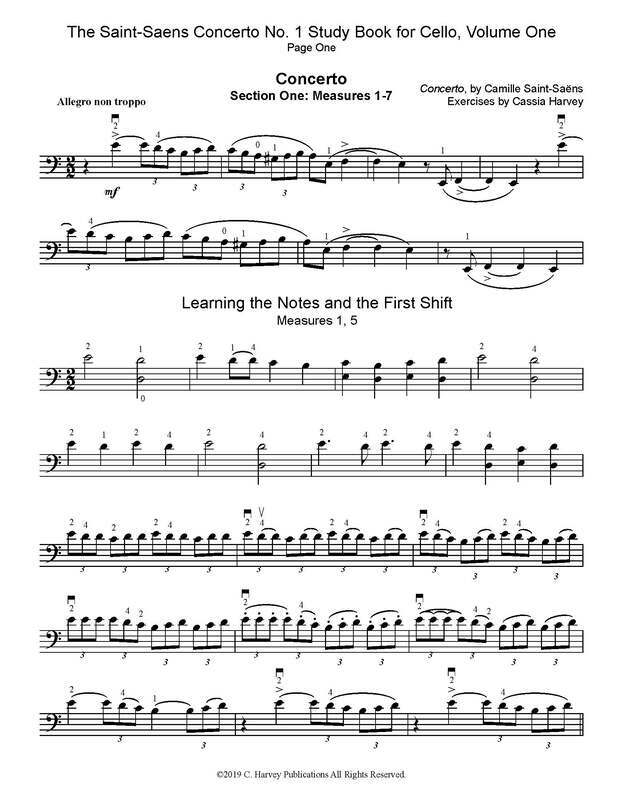 Skills that would otherwise be difficult, such as shifts, fast scale patterns, and double stops can now be mastered. You can be free to concentrate on artistic expression by solidifying your cello technique. The Saint-Saens Cello Concerto No. 1 Study Book, Volume One gives you essential tools to be a better cellist. The entire cello part to the first two "movements" of the Concerto is presented at the end of the book (the piano accompaniment is not included). This book could be studied along with The Popper High School Study Book for Cello, Volume One.